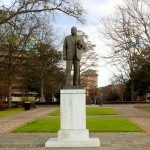 Kelly Ingram Park is located in the heart of the Civil Rights District of Birmingham, Alabama. The park is titled, “A Place of Revolution and Reconciliation.” Its history includes episodes of police brutality, which are difficult to imagine today. While violent, these incidents sped up the move to repeal unjust laws of segregation. 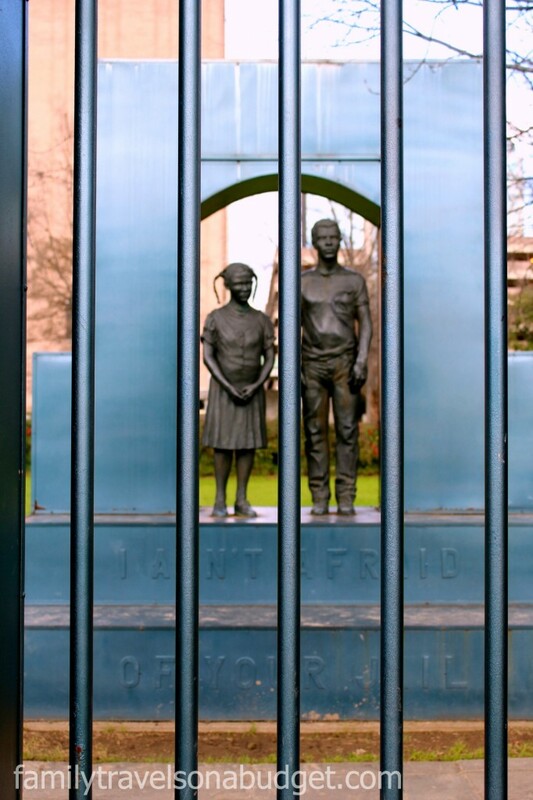 Park sculptures illustrate the violence to help visitors better understand this era of American history. 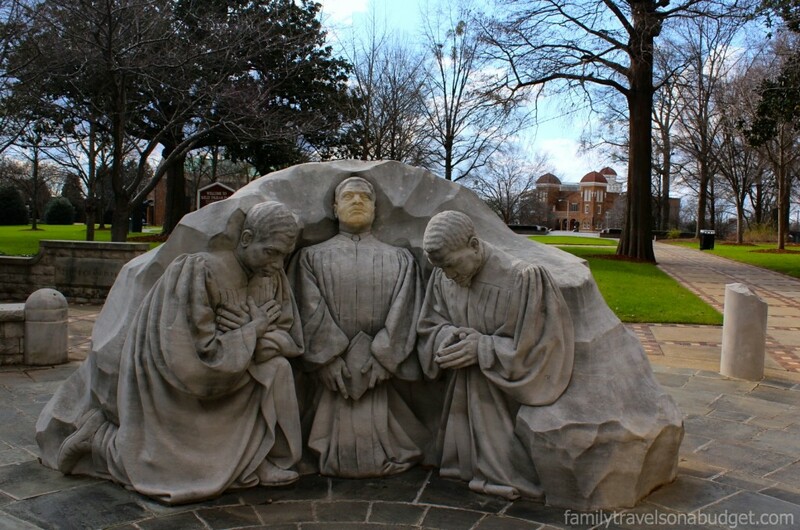 The Praying Pastors Sculpture with 16th Street Baptist Church in the background helps us remember how early civil rights leaders desired a peaceful resolution to racial tension and discrimination. 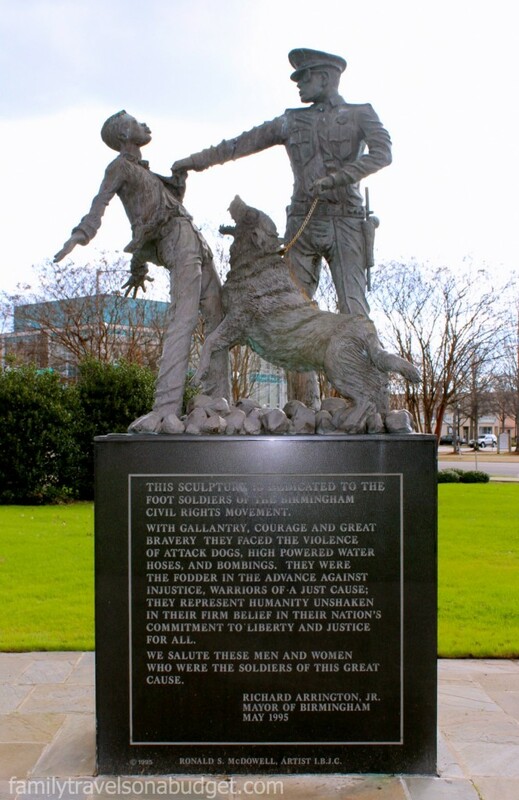 Police violence at the park is depicted in this interactive statue. Walk between the panels to get a sense of how it must have felt for peaceful protesters who were attacked without provocation. This statue reminds us that abuse of power is dangerous. It encourages us to stand up for what we believe — and true heroes, who stand up in peace to fight injustice — and are not forgotten. “I ain’t afraid of your jail.” In Birmingham, peaceful protests led to imprisonment. What a price to pay. 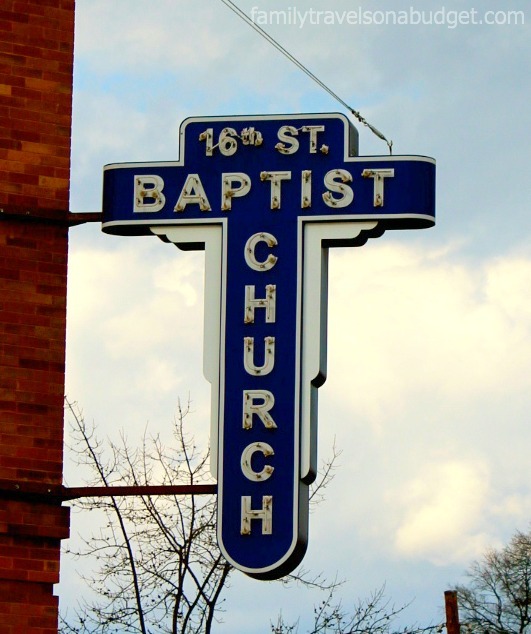 Kelly Ingram Park sits across the street from the 16th Street Baptist Church, which played an equally important role in the Civil Rights Movement, though the church members paid dearly for that important place in history. When visiting the Birmingham area, spend the morning at the Birmingham Civil Rights Institute (closed Mondays except Martin Luther King Day). 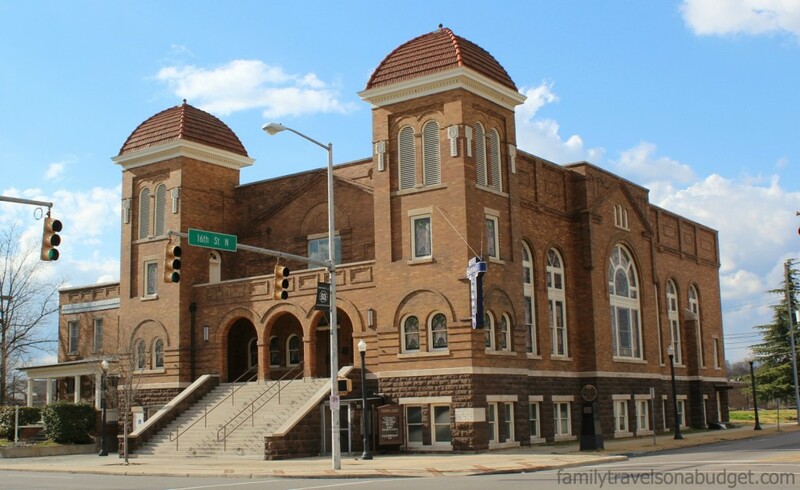 Tour the 16th Street Baptist Church museum across the street and then visit Kelly Ingram Park to walk the Freedom Walk. All three places can be visited in one day, but they’ll leave an impact far beyond that. On-street paid parking is available at the park. A block away, on street parking is free. Never been to Alabama so this was interesting. Such a deep history here and unfortunately a very dark time for our country. Thanks for sharing these powerful images! Wow looks like the perfect day – very dramatic photos too! 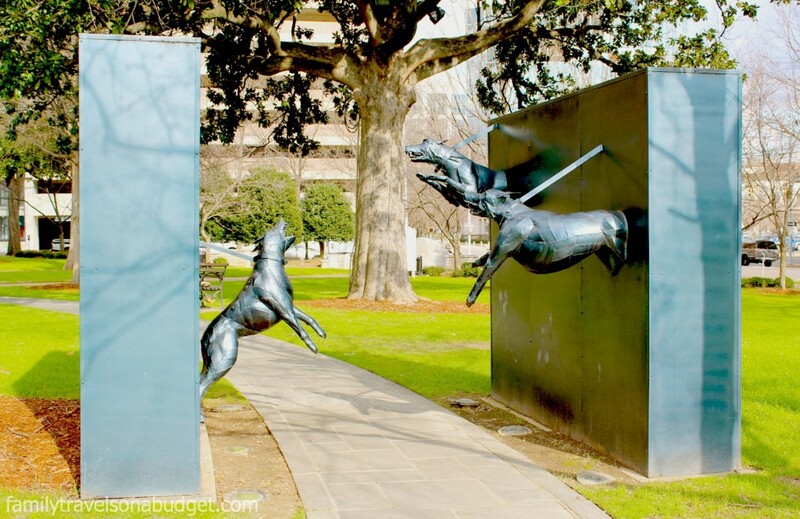 The three dog sculpture is quite intimidating in real life. I tried to capture the anger and sharp, bared teeth, but the lighting didn’t cooperate. I can’t imagine how those kids must have felt being attacked so viciously.